I mean seriously: what the hell? 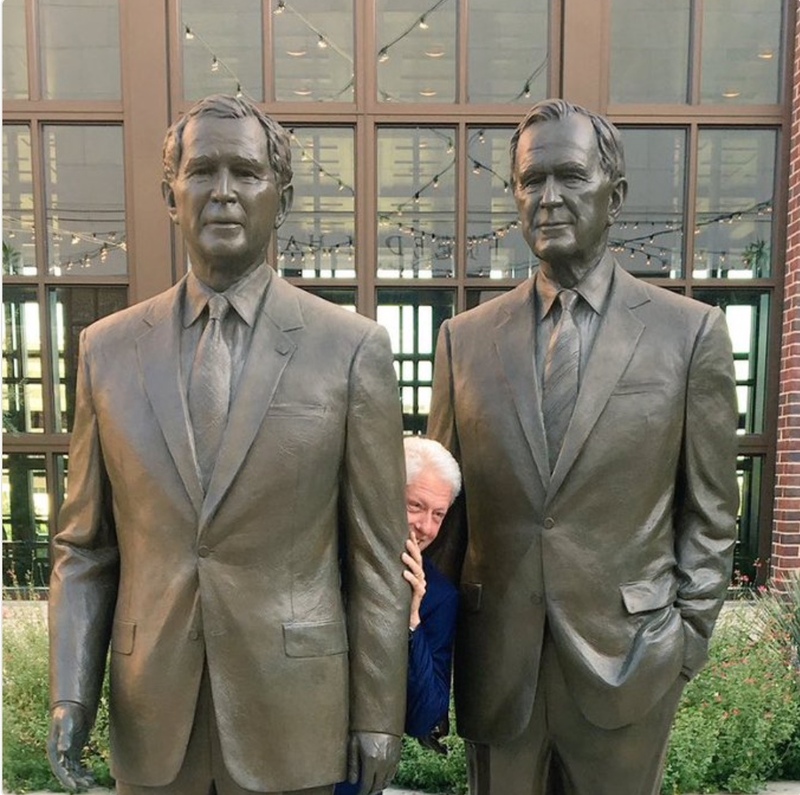 Clinton between two Bushes? Does Slick Willie not know how symbolically accurate this photo is, displaying his stature and character relative to the two men he came between in office? This is ideal for a caption contest for the comment thread. I’d try some myself, but I have a connecting flight to catch in 15 minutes.